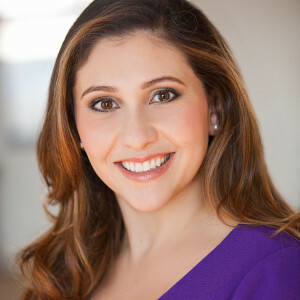 Hagar Hajjar Chemali is Founder and Chief Executive Officer of Greenwich Media Strategies, LLC. Hagar’s professional background and expertise has been shaped by a number of senior public affairs and policy-making positions she held over the course of 12 years in the U.S. Government. Her skills allow her to provide a unique, personalized experience in helping you strategically and effectively shape your message to targeted audiences. Public Affairs: Prior to launching her company, Hagar was Director of Communications and Spokesperson for the U.S. Mission to the United Nations and for Ambassador Samantha Power, where she directed all strategic and media communications, public messaging, and public diplomacy for the Mission. She was also Spokesperson for Terrorism and Financial Intelligence at the U.S. Department of the Treasury where she handled all communications and public affairs related to sanctions policy, illicit finance, and enforcement actions. International Security and Illicit Finance: From 2010-2012, Hagar was Director for Syria and Lebanon at the National Security Council, where she advised on and coordinated the implementation of U.S. policy toward Syria and Lebanon. Hagar also worked at the Treasury Department as a Middle East Policy Advisor, focusing on illicit finance and sanctions policy in the Levant and Iraq, and as Special Advisor to Deputy Assistant Secretary Daniel Glaser. Hagar is a member of the Global Business Advisory Group and has been featured in a number of U.S. and international press outlets, including the Wall Street Journal, New York Times, Reuters, AP, Bloomberg, and CNN, among others. She has a Master of International Affairs from Columbia University’s School of International and Public Affairs and her Bachelor’s degree in political science from Columbia University’s Barnard College. She is also a graduate of Greenwich Academy.